Real Madrid skipper Sergio Ramos is throwing his support behind Luka Modric to win the 2018 Ballon d’Or. The Croatian scooped world’s best male player at Fifa’s The Best awards ahead of Liverpool’s Mohamed Salah and Cristiano Ronaldo, now with Juventus. 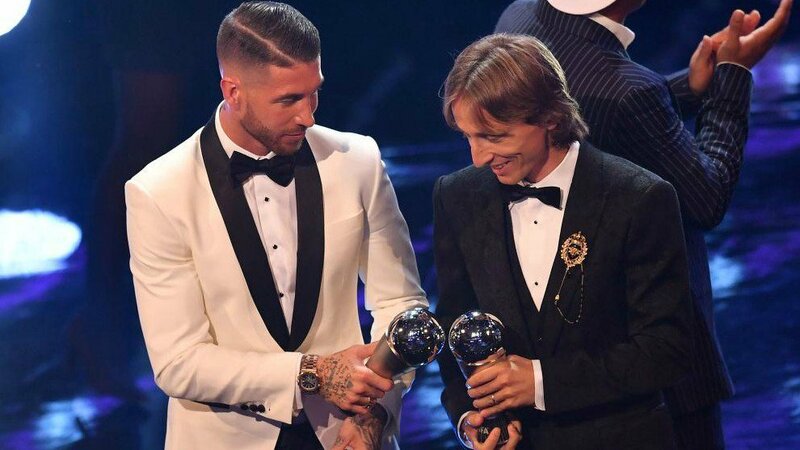 Ramos was at the awards bash in London and believes his club team-mate, who led his country to the World Cup final and was voted best player of the tournament in Russia, deserves to be named the best player on the planet. It has been 11 years since Lionel Messi or Ronaldo failed to win the coveted prize when Kaka came out on top, and the Spanish international wants to see a new name on the winners’ list. Ramos told Marca: “Looking at the level of the players you could give the Ballon d’Or to Messi, Cris or Luka, all of them would be just winners. Ramos himself was voted for the ninth time in Fifa’s best XI, equalling Andres Iniesta’s record. He added: “This is my ninth award and it is a privilege to equal Iniesta. Both Ronaldo and Lionel Messi failed to turn up for the glitzy event in London and Ramos admitted it was disappointing. Ramos continued:”I consider Cris and Messi to be the best and this awards ceremony deserves to have the best footballers. The Ballon d’Or shortlist is announced next month with the winner crowned in December.